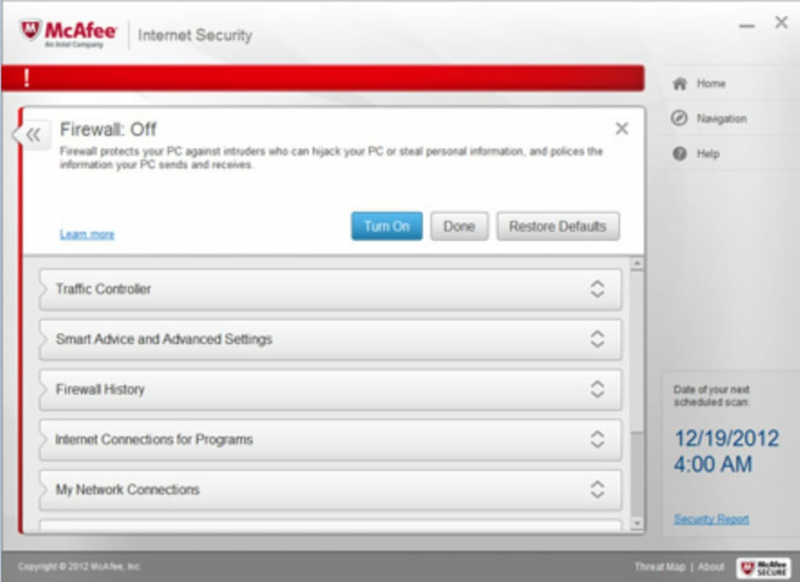 McAfee Internet Security Suite is the latest offering from the security powerhouse, a comprehensive solution for people who spend lots of time online and want to protect their computers from the worst of the web. 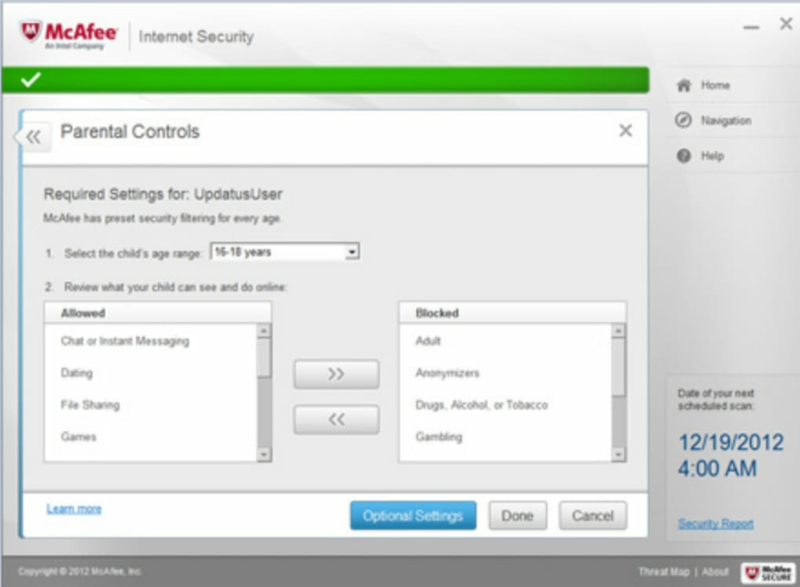 You'll notice a difference as soon as you open McAfee Internet Security Suite - this new version is visually very different. The interface is pared-down and minimalist, but still manages to make it easy to see what's going on. It may take you a little time to get used to the new look, but it's definitely worth it. 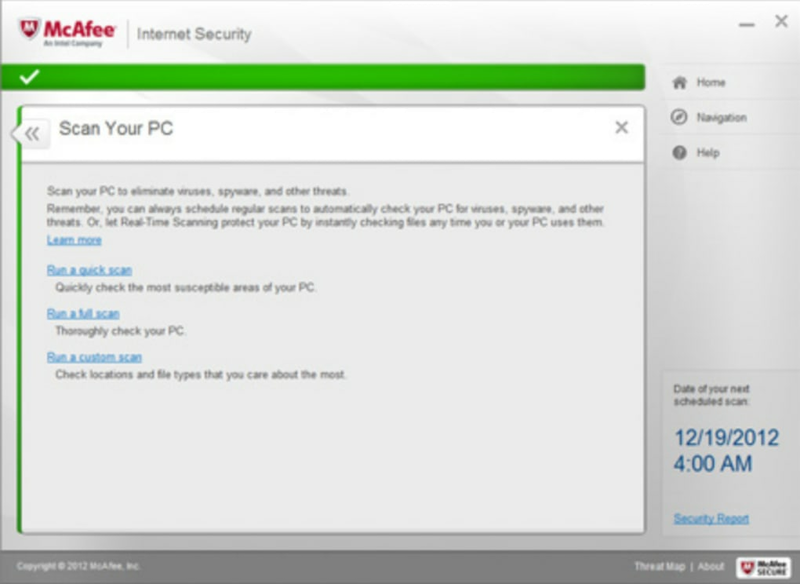 As far as security functions, McAfee Internet Security Suite has it covered. 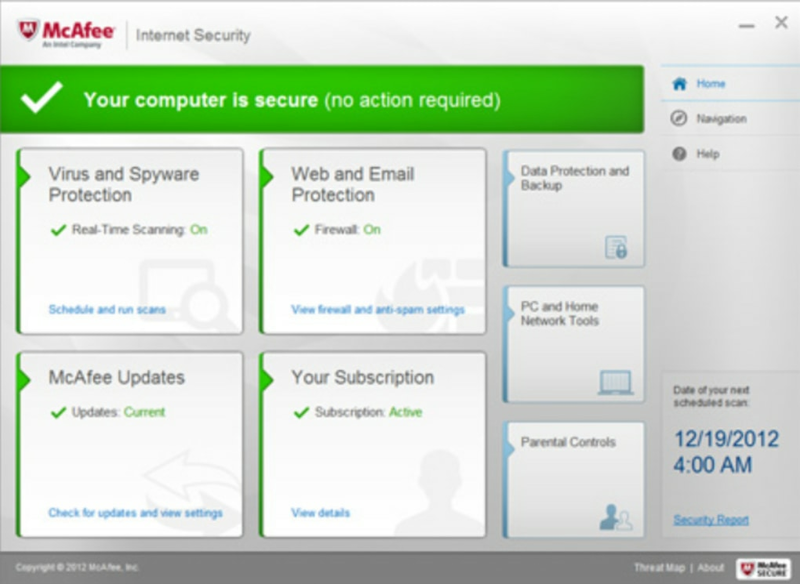 Apart from the standard real-time protection, regular scans and a firewall, this security suite offers web and email protection, comprehensive parental controls, online back-up and even PC optimization. 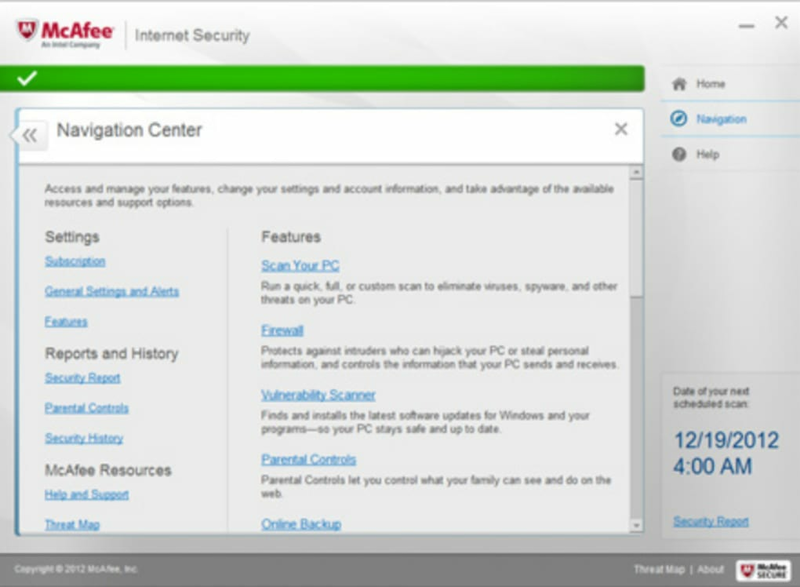 Finding your way around McAfee Internet Security Suite is very easy - click on the section that interests you and you'll see status and options displayed below. Clicking on any of those categories will display configuration options, and so on. To "go back", just click the close icon in the top right corner. McAfee Internet Security Suite is a bit of a departure from a traditional security suite, but it's a welcome one. McAfee Internet Security Suite is very hands-off - it scans, monitors and protects with a minimum of effort - but if you do want to take a peek "under the hood", you'll find that it's one of the easiest and clearest security suites that you've ever seen. A radical redesign just adds to McAfee Internet Security Suite, an excellent all-around security suite for internet fans. A Very Poor Quality Security Suite. AV-Test.org recently released their new test results for Internet Security Suites to see which are worthy of being certified. 19 different security suites were put through three tests. One was protection, another was removal/repair and the final was usability. To obtain certification a product had to score a total of 12 points out of a possible 18. McAfee Internet Security Suite was one of the 4 that did not get certified. It scored 5 of 6 for protection, but only a 2 of 6 in repair/removal and a 3.5 of 6 in usuability for a combined score of 10.5 of 18. In comparison Microsoft Security Essentials (which is free) scored a 4 of 6 in protection, a 4.5 of 6 in repair/removal and a 5.5 of 6 in usability for a combined total of 14 of 18. I would not recommend McAfee Internet Security to anyone. You are better off saving your money and going with Microsoft Security Essentials which scored higher and got certified. If you want to buy a Security Suite your better off investing in a product like Kaspersky Internet Security which scored a 16 of 18 over McAfee's 10.5 of 18. Not As Easy To Use As Some Alternatives.